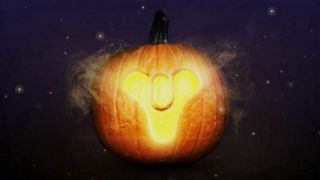 The Destiny Halloween event known as the Festival of the Lost is making a return this year, and it looks like it's going to be bigger than ever. Fansite Ishtar Collective has datamined the game, and come up with at least 38 all new items and 21 updated items - "items" in this case referring not just to masks, shaders, and the like, but quests as well. That breaks down to eight new masks, which include: Wolf, Firewolf (it's a wolf, but on fire), Aksis, Ghost, Lost Prince (you know, that grey-skinned jerk Awoken), Revenant, Saladin, and SIVA. There are also 10 consumables to collect this year: Bad Dream, Chromatic Jackolyte, Crawl of Creeps, Gifts of the Lost, Sleepless Gaze, Strokes of Midnight, Treasures of the Lost, and Whim of Rahool, as well as updated versions of Flight of Shadows and Tiny Box of Raisins (now called Ascendant Raisins). Two new emotes, Howl and Terrify, should get your Guardian in the Halloween spirit, and you can even give your Ghost little devil horns with the Deviled Ghost item. The shaders, Candlelight, Sea of Tears, and Unquiet Spirit, are surprisingly lacking in traditional black and orange, but I'm sure they'll still garner some fans. Lastly, the S-35 Jealousy Sparrow will make it look like you're riding a machine made out of ectoplasm, while the Hoodoom and Dragonsbane mods will alter the appearance of Bad Juju. Personally, I'm a big fan of the Firewolf Mask because… damn. Hot damn. The Festival of the Lost starts October 26 and runs until November 9.